Pedal easygoing routes among storybook villages and dreamy canals. 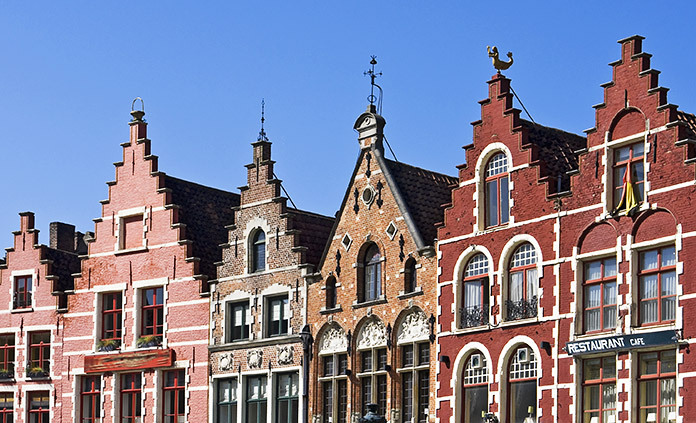 Soak up the charm of the Dutch countryside and the romantic beauty of Bruges. Sample delicious aged Gouda… in Gouda. Toss back a pint of Chimay, Duvel or De Koninck. Demo a pair of traditional klompen. Do as the locals do, which is pretty much anything on two wheels. And discover that all the wonderful things you’ve heard about bicycling in Netherlands and Belgium are true.